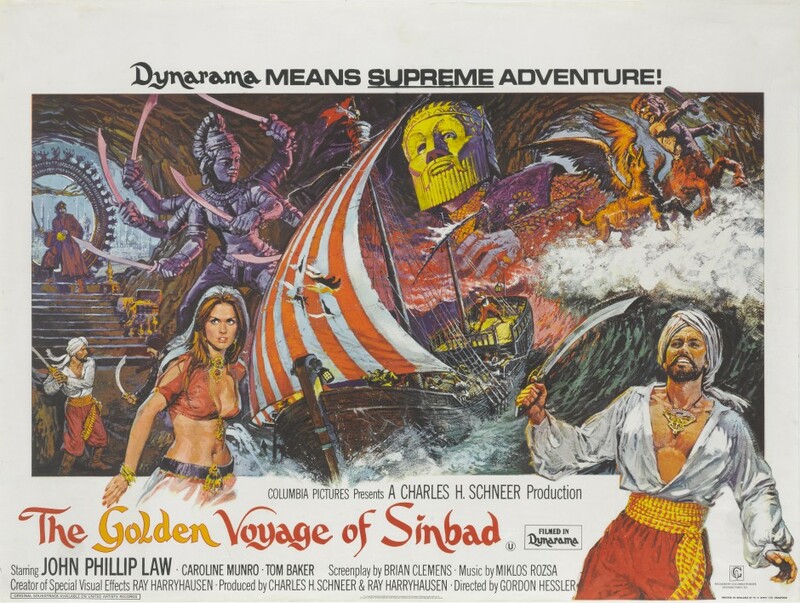 Join us for a 45th anniversary screening of ‘The Golden Voyage of Sinbad’ in London! The Regent Street Cinema will be celebrating this 1973 classic on Sunday the 25th of February, with special guest Caroline Munro, alongside Foundation trustees John Walsh and Ray’s daughter Vanessa Harryhausen. Fans will be treated to a special introduction to the movie from John, giving a glimpse into Ray’s archive and the film’s history. After the screening, a special Q&A will take place, allowing fans to hear Caroline’s memories of playing Margiana, as well as Vanessa’s memories of being present on set. The event starts at 3pm- don’t miss it!